Barrett Law is run by Jamie and Leanne Barrett. Our emphasis is always on providing quality legal services to our clients. We understand that choosing the right solicitor for you is an important decision. We know that our clients want speed and convenience, but don’t want to compromise on professionalism and experience. We know clients want a process that’s transparent and to have a solicitor that listens carefully to their needs and keeps them informed throughout the process. Our aim is to be approachable and accessible with the end result being a personally tailored service for our clients; which is why a large percentage of the firm’s work comes from personal referrals and repeat business. We are ably assisted by Serena King on reception. 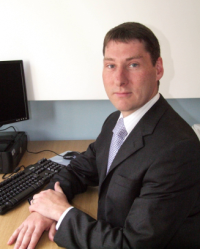 Jamie is the Principal Solicitor and Owner of Barrett Law. He specialises in Property Law including residential conveyancing and lease extensions as well as Wills and Probate. Jamie qualified as a Solicitor in 2001 and has had a varied career with a variety of different sized firms before deciding in 2008 to open his own firm. The ethos of Barrett Law of offering personal, tailored, high quality legal advice stems from Jamie’s open, friendly approach and passion for excellent service. Colin has been a Legal Consultant for Barrett Law since 2015 and has had a long and varied career in Wills, Trusts, Inheritance Tax Planning and Probate matters within firms in the Thames Valley region for over 40 years. He is a member of the Chartered Institute of Legal Executives.